Are you on a Chromebook, Chromebox or Chrometop and interested in checking out the latest features for Chrome OS? The good news is you can. With Google’s operating system, it’s very possible to switch between different software channels. What are software channels, you ask? Well, they’re essentially different versions of Chrome OS that you can apply to your device. When you switch your device to them, you’re telling your Chrome device to only accept updates from this particular area. Each one serves a different purpose. There are 3 channels: stable, beta and developer. 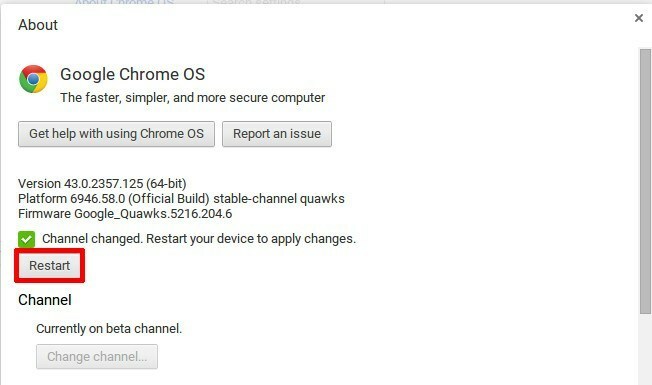 The first channel, stable, is what just about every Chrome OS user sticks with. When you use it everything is smooth sailing. There are no bugs, and everything is released as it should be. This is good for most people, of course, but not everyone. If you want the newest features, you’ll need to check out the other channels. 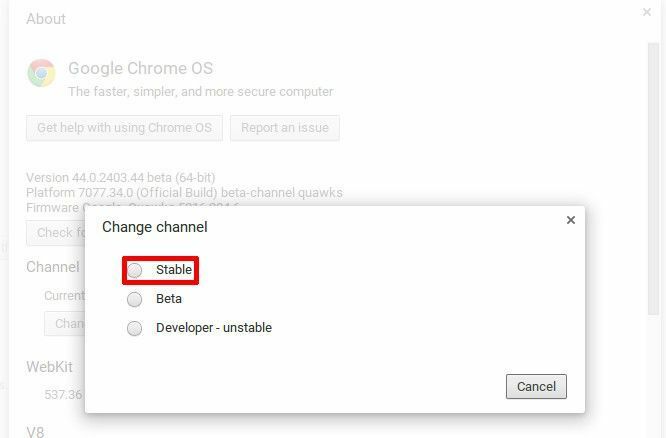 The first of the unstable channels available for Chrome OS is beta. Switch to this and you get beta quality updates which are newer than the stable ones. This channel is perfect for experienced Chrome OS enthusiasts who are looking to get the latest things from Google while maintaining some sort of stability. The second unstable channel is the developer one. Use this and you get the most bleeding edge software updates directly from Google. This particular software channel is great if you’re a Chrome OS expert and you’re looking to tinker with all new software as soon as humanly possible. Enough about the channels. How do you switch between them? It’s fairly simple. Inside the Chrome browser, click on the hamburger menu and then the Settings button. This will bring up a settings window. Inside the settings window, click the “About Chrome OS” button near the search box at the top. This will bring up an update box of sorts. Make your way down to the “Check for and apply updates” button and click on “More info…” right underneath it. Doing this reveals all of the advanced options (in relation to updates) that you can change. Click the “Change channel” button. This will bring up a window with three different options. 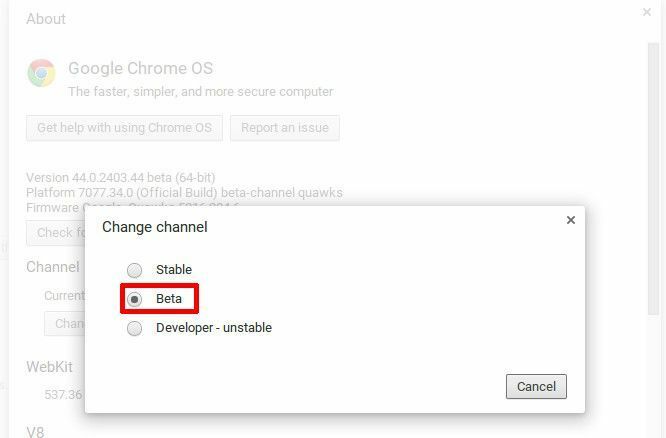 Change your channel from stable to one of the other options listed by clicking the option and then the “change channel” button (though it’s strongly suggested that you choose beta). Once you’ve made your change, Chrome OS will automatically download the latest updates from the newly selected channel. Just click the restart button and the updates will be applied to your device. So, you’ve checked out the beta channel for Chrome OS (and the developer one, if you’re brave) and you’ve decided it’s not for you. It’s understandable. Here’s how you change it back. Just follow the instructions listed above, except this time click on the stable channel option. Like before, Chrome OS will automatically download and install the latest updates available from the channel you’ve chosen. Just wait for it to finish. When the updates have been applied to your machine, click the restart button. When your computer starts up again, you’ll be on the stable channel, and everything will be back to normal. Update channels exist for a reason. They allow us to test drive updates while knowing what we’re getting into. Sure, update channels have been around on regular Linux for a very long time, but where Chrome OS stands out is with the simplicity of it all. Anyone with a Chrome device and a sense of adventure can test drive new stuff. 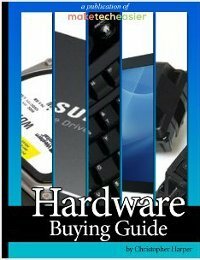 This guide proves it! Just go into settings and click a few buttons, and you’re good to go. Do you use the Beta or Developer channels on Chrome OS? Tell us below in the comments! You should warn folks. When I decided to switch from Beta back to Stable I was surprised I had to do a Powerwash. This meant losing all my local drive files so I had to back them up first. This took longer than I expected and for reasons I don’t understand, some settings didn’t make the switch so I’m having to make those changes as I discover them one by one. Going from Stable to Beta was MUCH easier. I recently changed from beta to stable. Its really impressive how it all happens. Next thing thing you know everything is back to how you left it, settings, bookmarks etc. Windows setup is a dog compared to chromeOS, glad we divorced sometime ago.